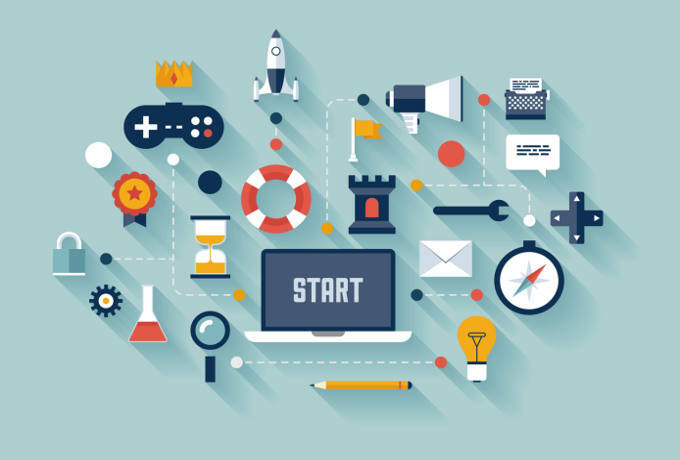 Gamification is about making difficult processes more like video games, in order to encourage engagement, improve learning and build positive habits. Over the last few years it has become a business buzzword, with managers keen to reap the benefits of gamifying their workplaces. Although the concept sounds good on paper, it can be difficult to know how to begin implementing it within your workplace. Luckily, it’s actually much easier than you think, and you probably have most of the groundwork already active in your processes. Here are a few examples of how you can bring these out in your everyday processes. When you’re waiting for a program to load, working your way through a survey and evening listening to a song on a digital device, you will see a kind of progress bar. They are so prevalent – and the satisfaction they create is so simple – that we barely associate them with video games at all, making them the perfect way to introduce gamification into your workplace. The easiest way to start is with a measurable goal – like sales targets. It’s likely that you already measure your sales figures as a percentage, so simply display your daily, weekly or monthly requirement as the marker at the end of a bar, and fill the meter as orders come in. Your sales team can watch their progress, and be motivated to keep bringing in business to complete their objective. The most central aspect of gaming is that it involves competition, encouraging players to exceed the skill of the opposition. Use this to your company’s advantage by assigning a points system to otherwise mundane tasks, and creating a leaderboard for individuals or departments. For example, a tedious health and safety training session can be spiced up with intermittent quiz rounds, to see who has been paying attention. Track answers by using a CLiKAPAD electronic voting system, assigning prizes to the top scorers and actively improving the training by recapping any weaker topics. If pitting your staff against each other doesn’t feel right for your company, you might be able to use gamification for employees to improve upon their own independent performance. This works particularly well for highly-repetitive processes like data entry or stock checking, which tend to become slower or less-accurate as fatigue sets in. A scoring system that measures the speed and accuracy of a completed job can help employees monitor their own progress, and give them personal targets to beat. Maintain positive reinforcement to improve staff morale and keep errors to a minimum.